Growing pains affect us all. This past year, The Curb was not exempt. The multi-roaster coffee shop that once had locations at UH Manoa, Kaimuki, Kailua and Tacoma, Washington is back after closing completely last year. The new spot is three blocks from its old spot, thanks to Devin — an employee under the previous management — and Ross Uehara-Tilton. They’ve taken over and planted The Curb back on Waialae Avenue. This past Saturday, the duo celebrated the shop’s comeback with a soft opening. 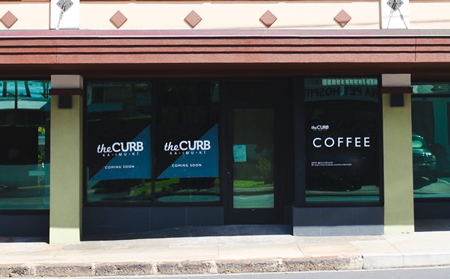 The Curb Kaimuki now boasts a 580-square-foot space with more seating, new menu items coming soon, in-shop wi-fi and restroom, and a social media revamp…. 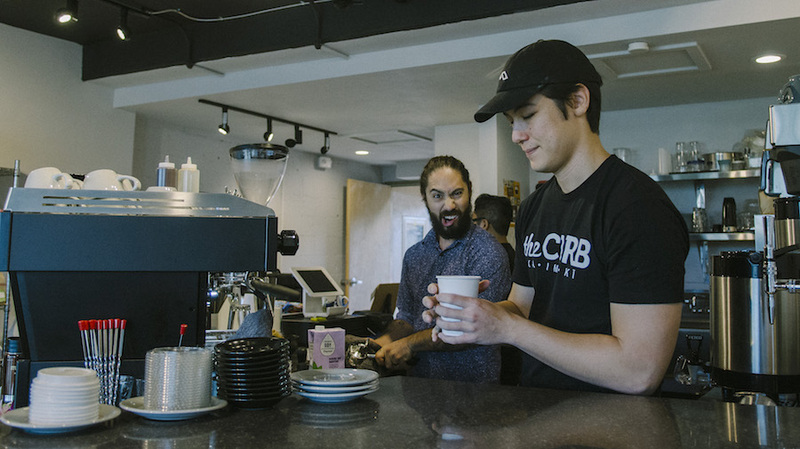 After a tumultuous year for the local favorite coffee shop, The Curb has new owners. The business, which started out as a coffee truck parked near the University of Hawaii, closed its four locations last year, causing owner Sumner Ohye to look for a contingency plan. He ended up handing the company over to Devin Uehara-Tilton, who started out as a barista with the shop in 2014, and his husband Ross Uehara-Tilton. The pair formed a corporation under the name D/R Coffee Inc., which stands for the duo’s first initials. Devin will handle the customer service and front end of the business, while Ross – a full-time Hawaii attorney – will handle the business specifics. This month, they will open a new location in a 580-square-foot space in the Finance Factors building on Waialae Avenue, down the street from the original Curb location. Pacific Business News sat down with Ross to hear about this new venture, which he says will be about quality over quantity. Did you ever think this is what you would be doing? No. Going to law school in and of itself is a lifetime commitment, and I never really imagined being on the other side of the bar, so to speak. I’m used to advising clients and businesses as an attorney, and being on the other side has made me look at it in a different way. It has also helped us with the legal side of things, and it has saved us money on attorney and bookkeeping fees. What was the process like in buying the company? We really just licensed the trade name from him, and the main financial investment came from construction costs for the new store. It was a mutually beneficial transaction because we were able to come in and help keep the name alive. The business was [Ohye’s] life and emotional investment, and I think it was easier for him to transition out of it knowing it was going to an employee that he trained himself. How many employees do you have? We have three part-time and three full-time employees, who all came from previous Curb locations. After the other locations closed, a few of the employees went on to different things, which actually ended up being a good thing. 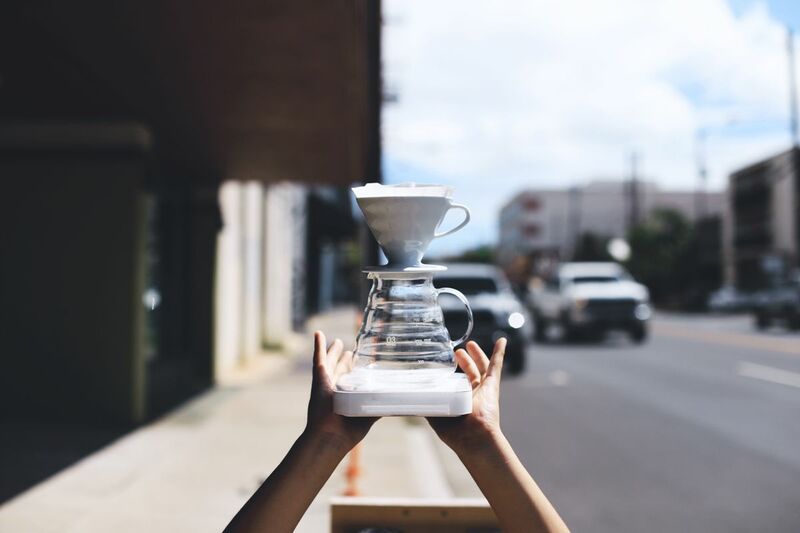 For example, one of our employees works full-time at the Hawaii Agriculture Research Center, which has farms in Maunawili and Kunia, so she has a wealth of knowledge that goes beyond what a typical barista could provide. What else will The Curb sell? We are going to sell food, and have a menu of toasts — such as avocado toast and another that we named Ricotta Be Kidding Me, which will be a ricotta jam toast. We will also have sandwiches and pastries that we will bake in-house. We want to use seasonal ingredients that we can find locally, and work with other businesses as vendors, such as Breadshop located next door. What is your advice for others considering starting their own business? It is hard, and it is scary, and you just have to go for it. There are always going to be problems and things you cannot anticipate, but somehow everyone else who has started a business has done the same thing, so there is no reason why you can’t do it. What are you looking forward to as a business owner? I look forward to sitting in our shop on a Saturday morning, and have it be full of people having a good time. Coffee really does have a noticeable impact on happiness for a lot of people, and I’m looking forward to being a part of that first cup of coffee in the beginning of someone’s day. What is next for the company? We have started having conversations about what we are going to do next, and expanding might not necessarily be what we want to do. We want to find another way that we can give back to the community, and generate more interest in coffee. 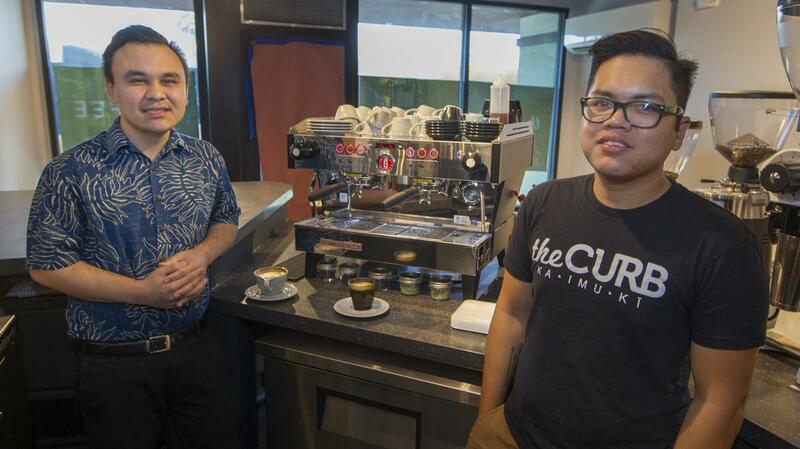 The Curb coffee shop has new owners, following a series of closures of the company’s Hawaii locations.